Are you facing “your connection is not private” error while browsing a site? Then, it means, your browser is not able to establish a secure connection with the site. Personally, I had face this error while using a public network. Well, you don’t need to worry about this error. You can easily fix this error by yourself by following solutions mentioned in this article. What is “your connection is not private” error, and why the error occur?. Before knowing about this error, I think you should know about few Internet Protocol. https (Hypertext Transfer Protocol Secure) – is an extension of the HTTP. Which is used to secure communication over Computer Network. And, HTTPS is secured using TLS or SSL. If you visit an non – HTTPS site, you will able to see “not secured” message in Chrome Browser. Https protocol does secure websites privacy and integrity while transmitting data. 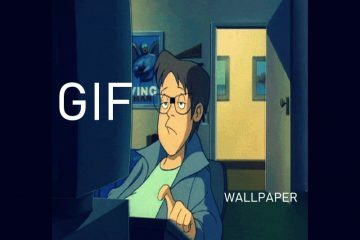 With Internet, nowadays, you can do every thing. Even, you can make money, learn something or can pass free time by watching Netflix. But, there is an dark side of the internet. I am not talking about dark web. Here, I am talking about attackers or maybe you call them hackers. These people try to steal your personal information, includes credit card information. If the site is secured with HTTPS over SSL. Then your information remains private, when it is sent to that site. And, if you’re browsing an non-HTTPS shopping site using public Internet Connection. Then, you’re making easy for attackers, to run exploit on your Computer. 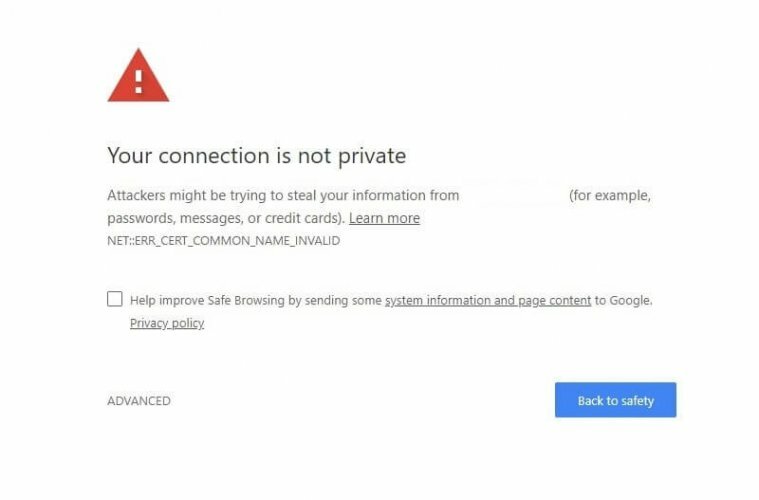 “Your Connection is Not Private Chrome” Error could occurs due to multiple reasons. Problem could be in chrome browser or you’re using public internet connection. Also, if your browser is unable to verify the SSL certificate of site. Then, also this error appears. 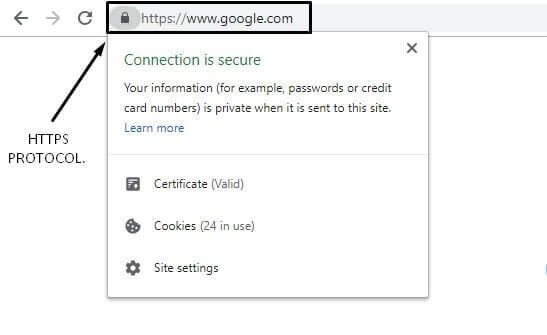 SSL certificate is necessary to create an SSL connection. And, SSL ensure that data transferred between web server and browser remains encrypted. And, with public connection, data can’t be remain encrypted and this error occur. I think, now, instead of knowing about the reason behind this error. You just want to fix this error. So that you can browse internet again normally. So, here are certain working solutions to fix this Error. Try each solution, and, if after trying all these solutions, problem doesn’t resolve. Then, please comment the name of that site, which is showing this error. 1 Your Connection is Not Private Fix. 1.1 Solution: 1 Make Connection Private. 1.2 2. Update Date & Time. 1.3 3. Reset Chrome Settings & Clear Browsing Data. 1.4 4. Check Chrome Update. 1.5 5. Check Firewall & Antivirus Settings. 1.6 6. Use Advanced Option. 1.7 7. 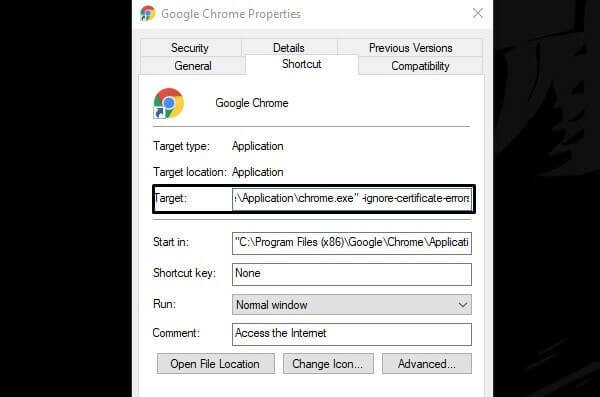 Add Ignore Certificate Errors Shortcut. 1.8 Summing – up. – Chrome your connection is not private. Your Connection is Not Private Fix. IMPORTANT : This privacy error comes with an error code. Like, NET::ERR_CERT_COMMON_NAME_INVALID. Which indicates the real reason behind this error. So, If these common solution doesn’t work. Please comment that error code. And, I will help you with the specific solution. Solution: 1 Make Connection Private. 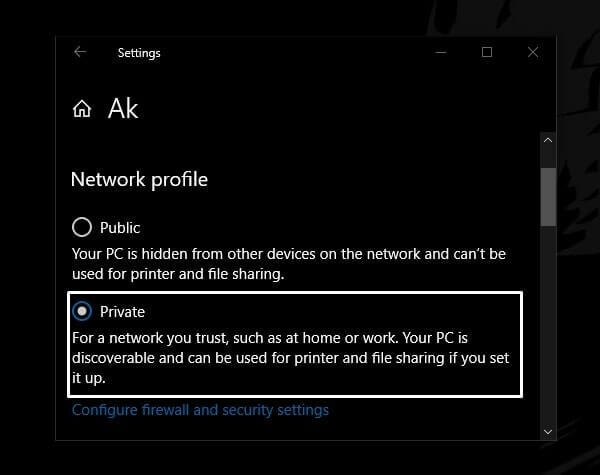 Windows 10 comes with an ability to change the Network Profile. Means, you can easily switch between Public and Private Connection. So if, error is occurring because your internet connection profile set to Public. Then, it will get resolved immediately. 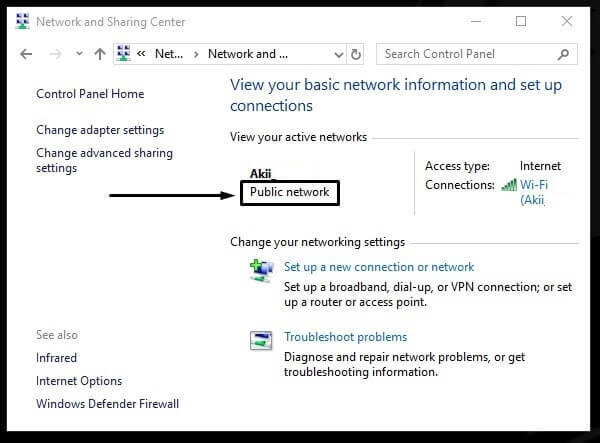 How to Check Network is Private or Public?. Open Control Panel. And, go to Network and Internet > Network and Sharing Center. 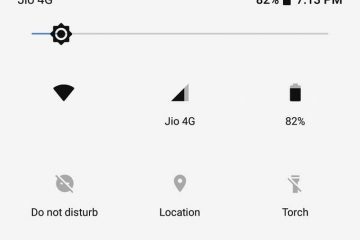 Now, below the name of the connected network you can check network profile. If it’s showing Public Network then follow these instructions. 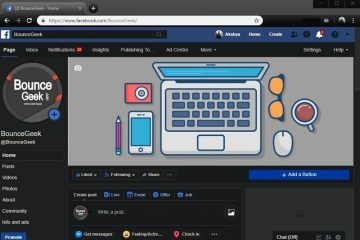 How to Make Connection Private?. In Settings App, Click on “Network & Internet”. Here you will able to see Public and Private option. Simply, Select the Private radio button. That’s it. Now, you have to restart Chrome Browser. After restarting browser, you can open the site you want to. 2. Update Date & Time. Wrong date and time prevents users to browse the Internet. And, this could be also the reason behind this error. Sometimes, due to power failure, Computer gets turned off. And then, after restarting PC, date and time gets changed. So, you have to make sure date and time is updated, and, right time zone is selected. 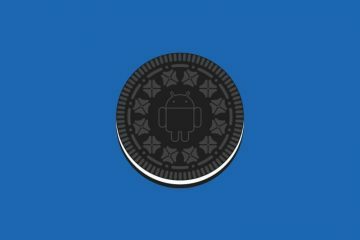 And, it doesn’t matter error is occurring in Android, iOS or Windows. You need to stay updated your device with right time to browse internet without interruption. 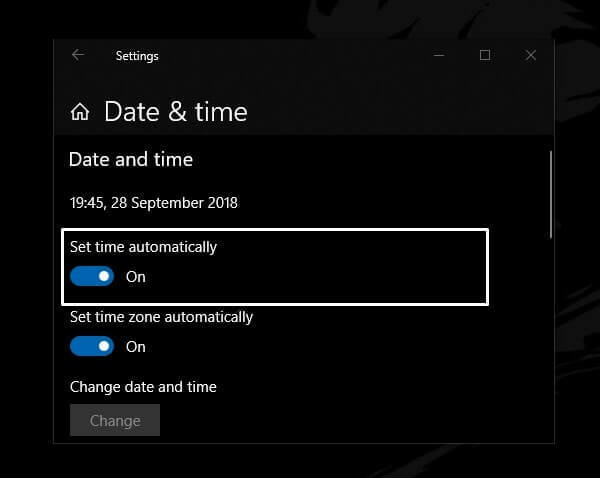 To make changes in Data & Time and set time automatically in Windows 10. Follow this step. Open Settings App (Press Windows + I key) > Click on Time & Language. Check, Time Zone is right or not. If it’s right then enable “set time automatically” option. 3. 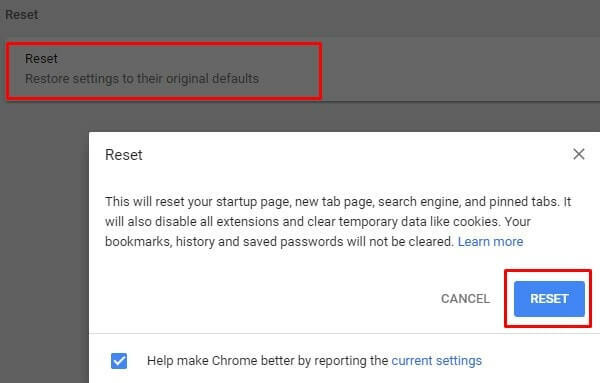 Reset Chrome Settings & Clear Browsing Data. If a site was using a HTTPS protocol and now site owner remove it. Then, due to browser cache this error occurs. Also, if you’re visiting a site first time. And, still facing the “Your Connection is Not Private” error. Then maybe, due to some Chrome extensions this error is occuring. Here are two solution, which you can apply on Chrome Browser. And, hopefully, this solution will help you to get rid of from this error. Open the following URL in Chrome Browser to open Reset Page. Click on “Restore Settings to their original defaults” option. And, after that, click on “Reset Settings”. This option will immediately disable all Chrome extensions. And, will set all settings to default, if you have made changes in developer mode. 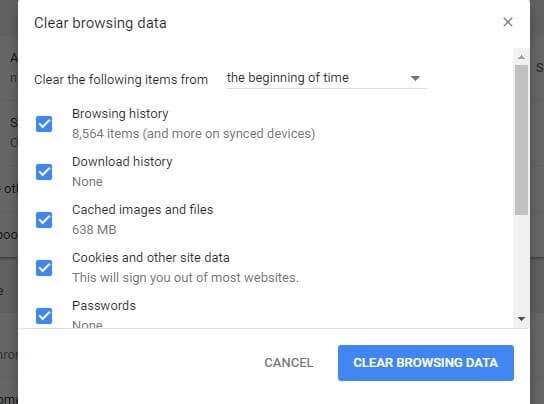 To Clear Chrome Browsing Data (History, Cookies, Cached Images and other saved data), open the following URL. Make sure all option is selected, and time range is set to “All time”. After that, just click on “Clear data”. The process will take time, so don’t close browser. If error is coming in any other browser, then also, you need to clear browsing data. And, if error is coming in Android device, then go to Settings> Apps and use Clear Data option. If you’re the one who don’t like to update Software & Apps. Then, you’re doing a big mistake. Because, outdated software and OS can cause many errors. And, does make your device vulnerable. Also, some users have fixed this error just by updating or reinstalling browser. So, you can also give it a try. Instead of updating, I suggest you to uninstall browser from Control Panel. And then, install it again from official site of it. 5. Check Firewall & Antivirus Settings. Antivirus like Avast comes with HTTPS scanning option. And, if with the help of HTTPS scanning, antivirus find out that problem is with SSL certificate. Then, it prevents user to access that site. And, does shows “Your Connection is Not Private Chrome” error. To get rid of this privacy error you need to disable this feature. If you’re using any other antivirus program then you have to check this feature on your own. Because, I can’t describe settings for all Antivirus Program. But, if you’re not using any antivirus program in Windows 10. 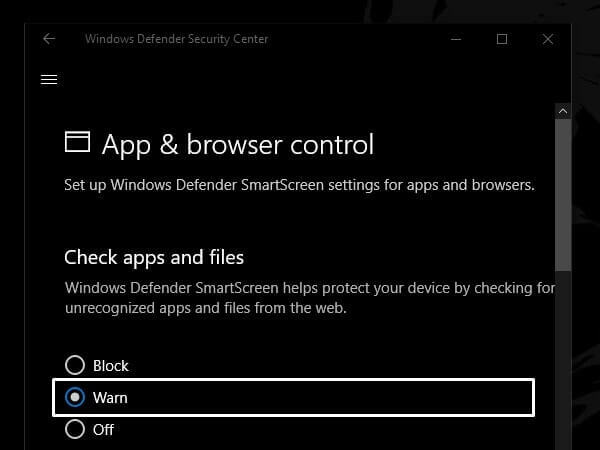 Then, you have to check “Windows Defender Security Center” settings. Mainly, this solution is for Microsoft Edge browser. Open Windows 10 Settings App. Go to “Update & Security” > Windows Security. Click on “App & browser Control” option. Now, make sure all radio option is set to “warn”. If you don’t want to go through anymore solution. And, “connection is not private” error coming on specific site. Then, with the advanced option you can still access that site. Without resolving this error. But, I suggest you to don’t share personal information with that site. On error page, you will able to see “Advanced” option. Click on it to show advance option. Now, you will able to see “Process to…” option. Click on it. And, site will get open without any error. 7. Add Ignore Certificate Errors Shortcut. If you’re facing “Your Connection is Not Private” error on many sites. Then, you can fix this error for all sites at once. Though, I don’t suggest to disable this error. Because, this error helps to browse internet securely. But, Still, If you want to do, then here is the instructions. First, close chrome browser completely. Right-Click on Chrome browser icon and then click on properties. Click on Apply, then click on OK.
Summing – up. – Chrome your connection is not private. That’s it. these are the solutions, which you can try to fix this error. First, you have to check your connection is private or public. And, if you’re using private network make it public. After that, you need to clean Chrome cache and cookies. Also, don’t forget to check antivirus settings. If nothing works then, last two solution will help you to get rid of from this error. 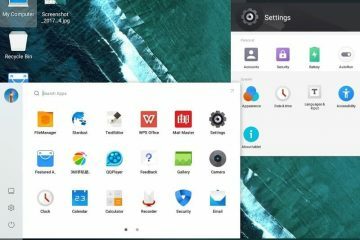 How to dual boot Phoenix OS on your PC – Step by Step.